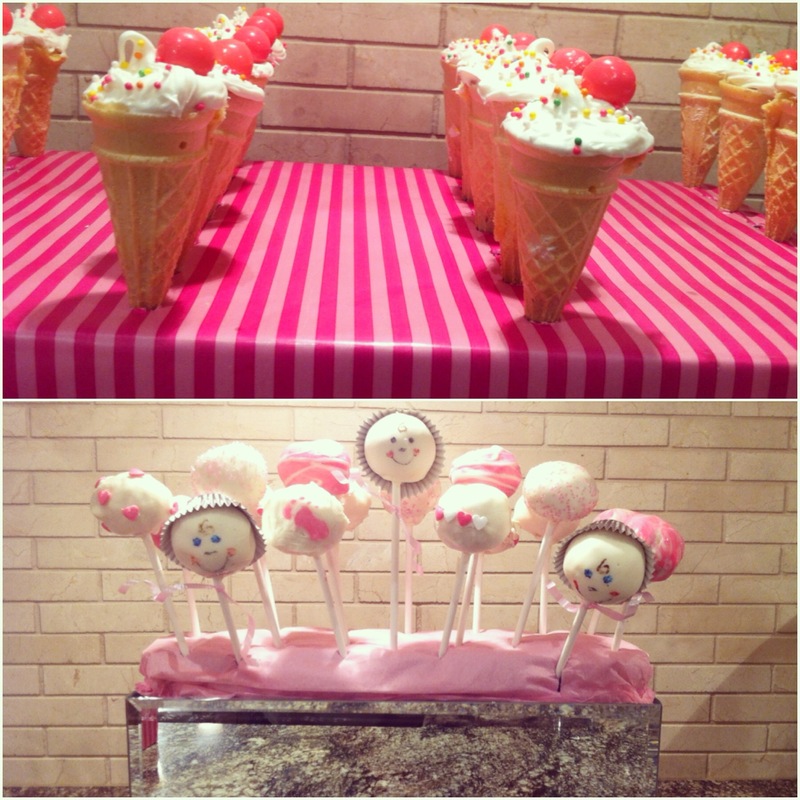 Baking ,the colour pink, parties, and babies…these are just a few of my favourite things! When all of these happened in one day for a baby shower you can imagine how happy I was! 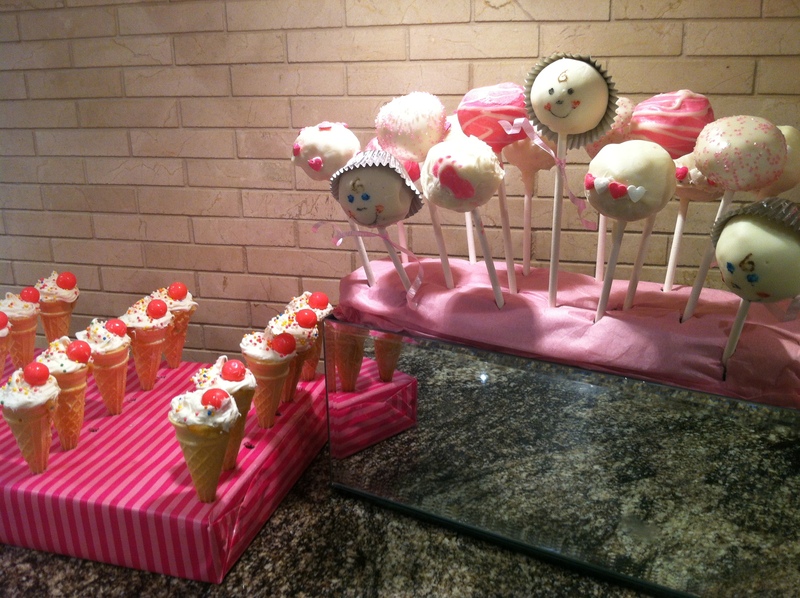 I’ll start off with how I made the mini ice-cream cone cupcakes followed by the cake-pops and end off with my outfit of choice for the baby shower! 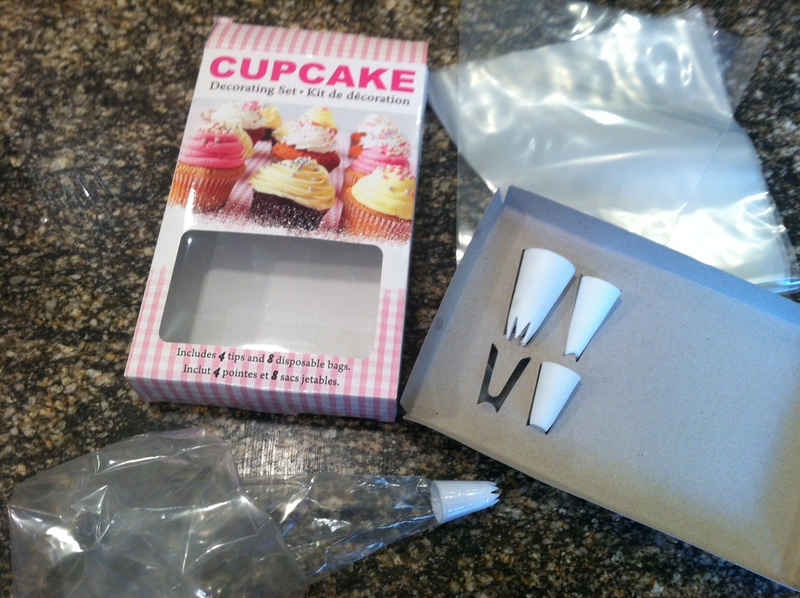 Piping bag/icing decorating tips (I got this box which includes 8 bags and 4 different types from Dollarama)– this way you can get that signature ice-cream swirl! Depending on how you want to personalize our cones you can opt for any type of boxed cake-mix, icing, sprinkles (I got two containers filled with all different types of sprinkles from Dollarama), candies, and size/shape of the cones. 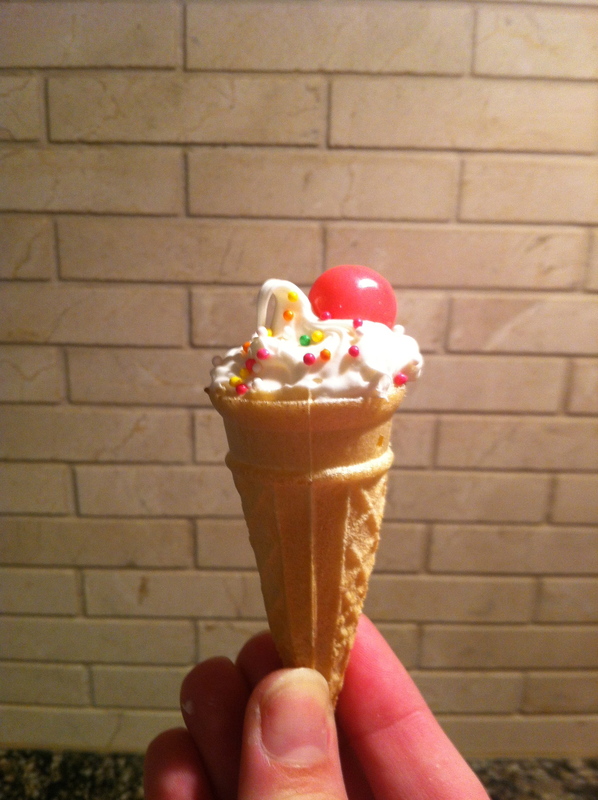 I went for a classic looking ice-cream cone! The only thing I would change when I make these again is to use flat bottomed cones as the pointed ends made cooking the cake-mix somewhat tricky! Other than that, I was happy at how simple they were to make and didn’t take long at all! 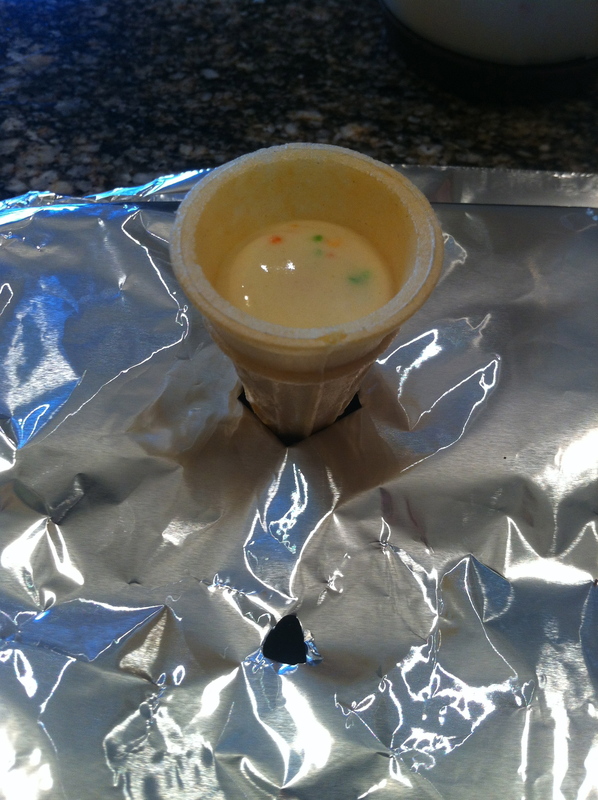 If you go with the pointed cones you will have to cover your pan with aluminum foil first and then poke holes in it so the cones can be inserted and stand straight up. This will prevent them from tipping over while the bake. Otherwise, place your flat-bottom comes directly into one of the circles of the pan. 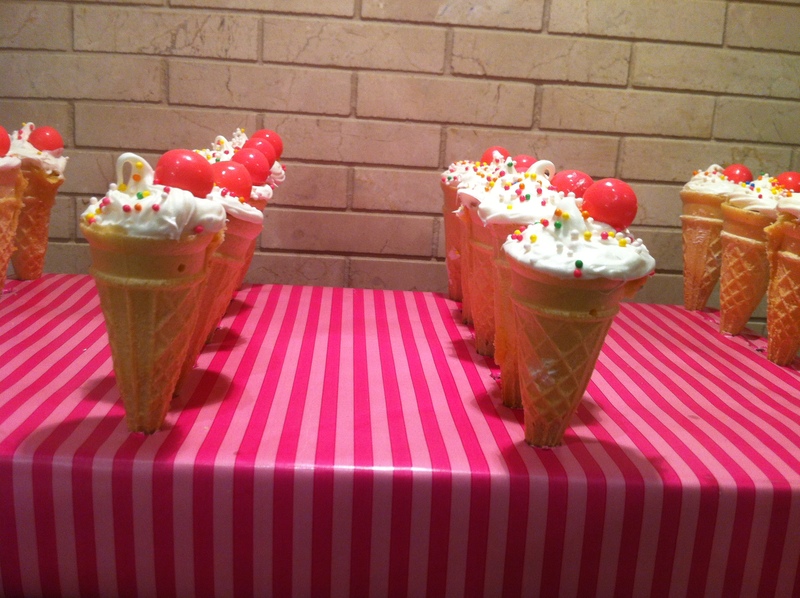 As you can see pictured below my cones are now sitting securely in the pan ready to be filled then baked! While you patiently wait for your cones to cool down you can get your stand or display ready. Because I went with the pointed bottomed cones I had to create something that would hold them upright. 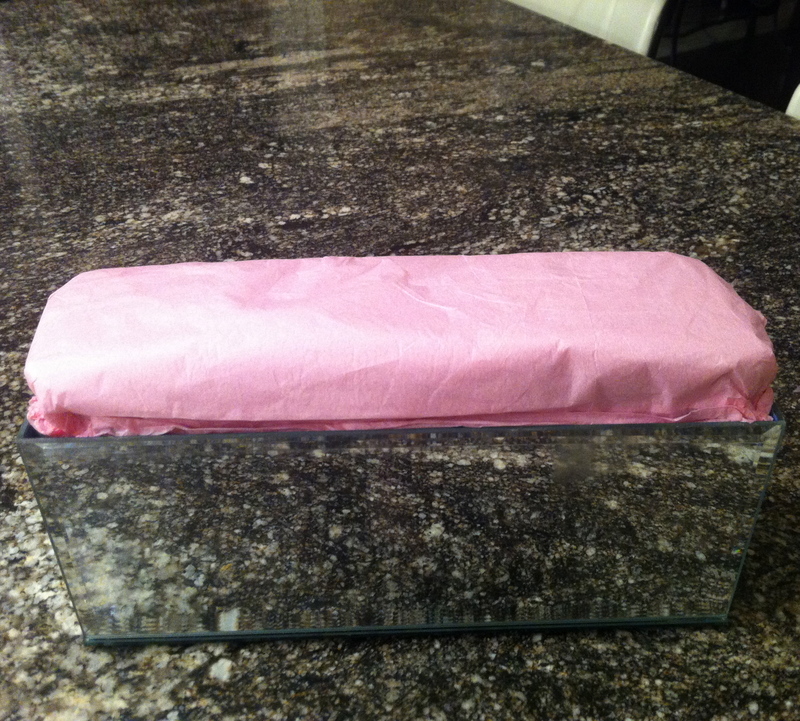 I used the top of a shoebox and wrapped it in some cute pink wrapping paper. Once that was done I poked small holes in the shoebox big enough that the cones stayed put. If you use flat bottom cones you can display your finished product any way you’d like! 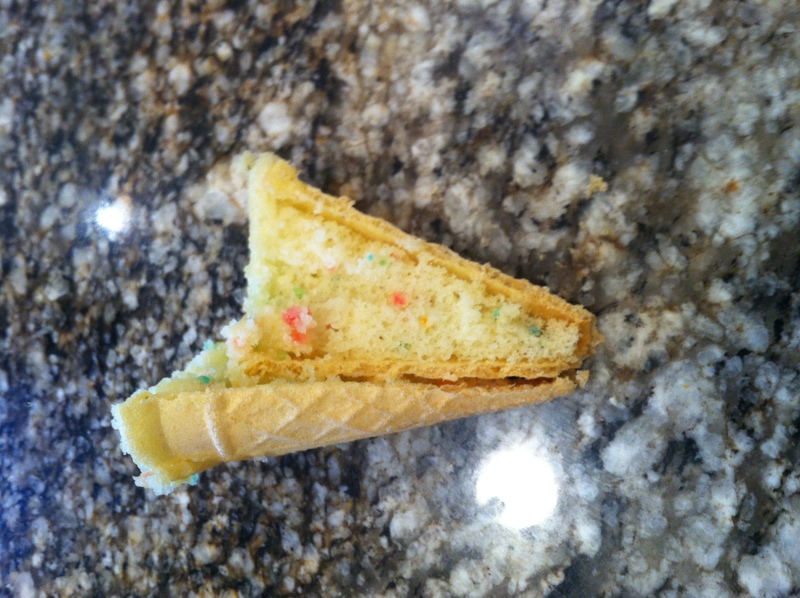 Step 5: Decorate your cones! This was my favourite part! Like I previously mentioned you can ice/decorate your cones any way you like as well as top it with anything (be creative!) 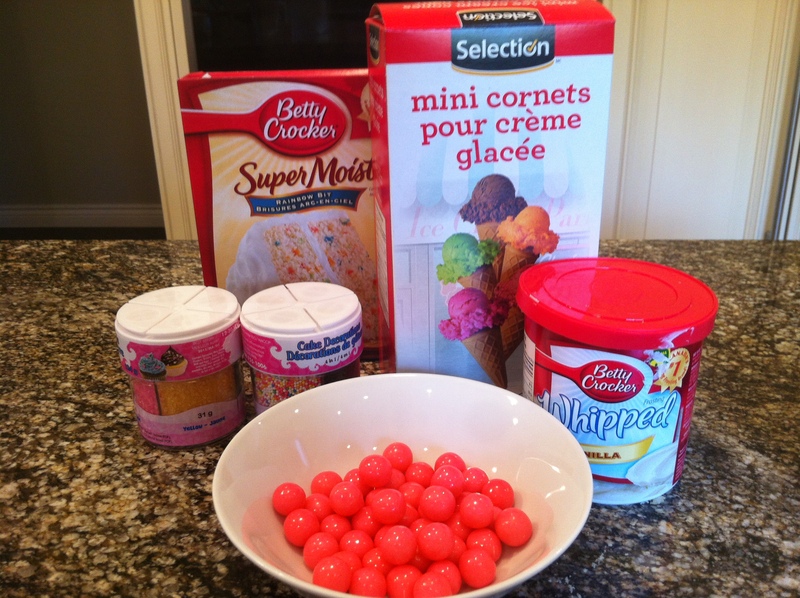 I used one of the decorating tips to get the swirled icing and used multicoloured sprinkles and topped it off with a pink gum ball in keeping with the pink baby shower theme! Sprinkles, nuts, etc however you want to decorate your pops! 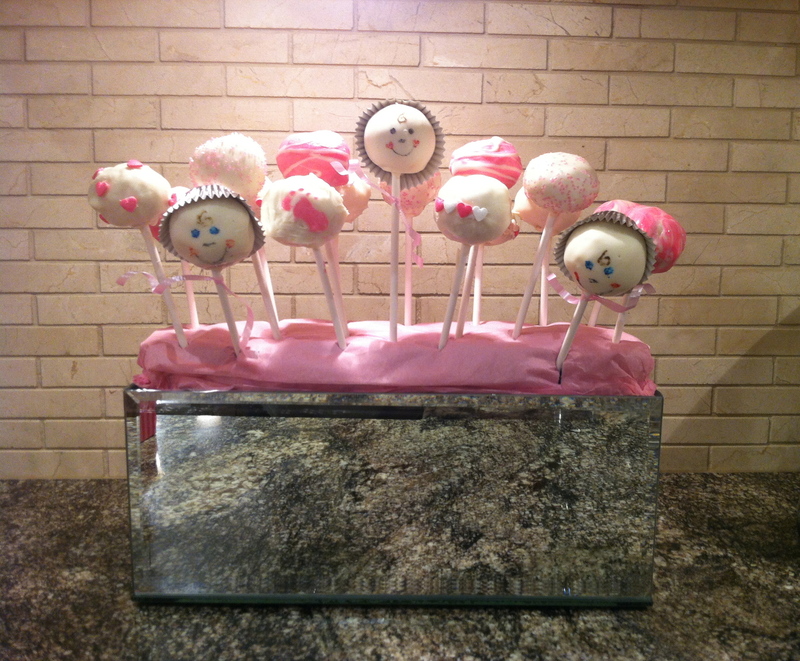 Also included in the photo is Wilton markers (edible)– these were perfect for drawing the faces on the baby cake-pops! Follow the instructions listed on the back of the cake mix. Don’t worry if the cake isn’t perfect when it comes out, you will be crumbling it to smithereens anyways! Just make sure it is cooked all the way through! Once the cake is taken out of the oven give it time to cool COMPLETELY. 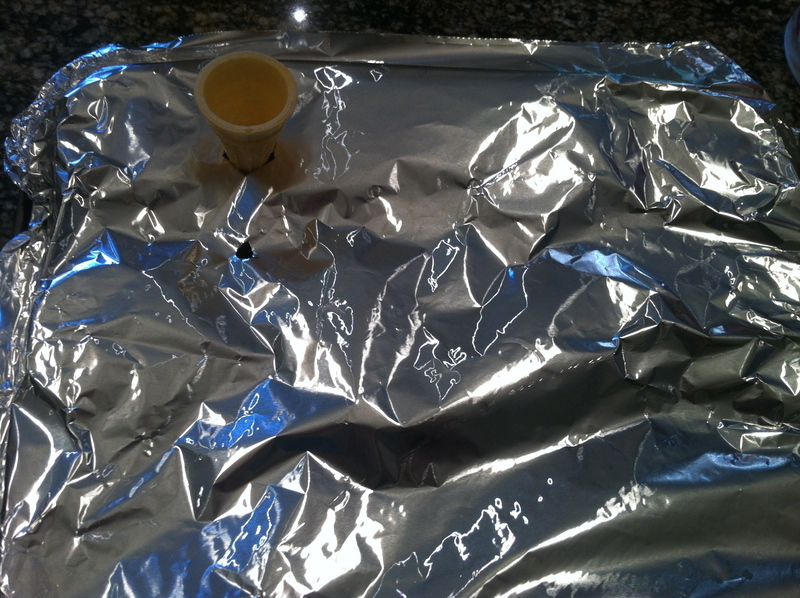 You can remove it from the baking pan to let some of the steam out. It seems like shame to crumble a perfectly good cake after it’s just come out of the oven but it’s exactly what is needed to start to cake-pop process. The easiest way to go about this is to cut your cake into two sections (if you are using a rectangular cake-pan.) Pick these two pieces up and rub them together, you will notice that the cake will begin crumbling into very fine pieces. Do this in a large bowl and once it is completely crumbled run a fork through it to make sure there aren’t any large chunks remaining. This is where it is imperative that you let your cake cool completely before continuing. 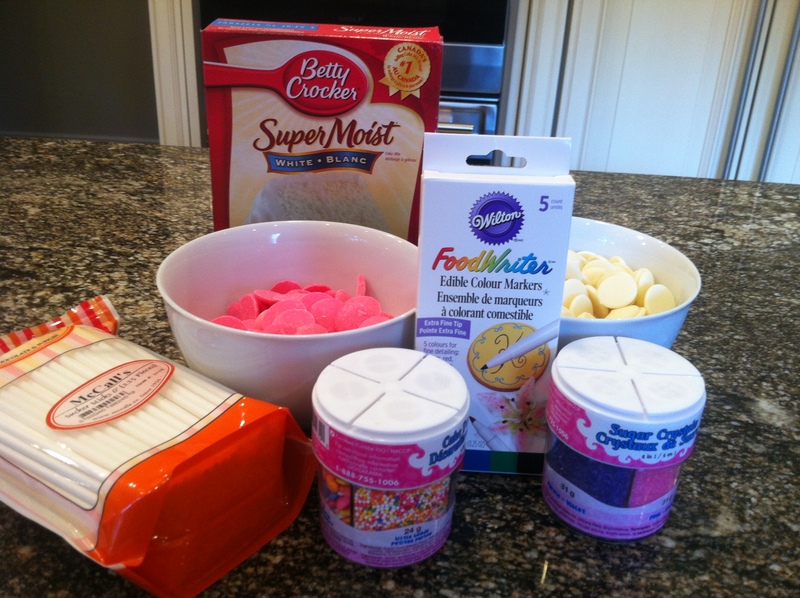 Once that is done, take your container of icing and add about half of it to your large bowl of crumbled cake. Mix these two ingredients in well. You should now be left with a sticky consistency with no loose crumbs. 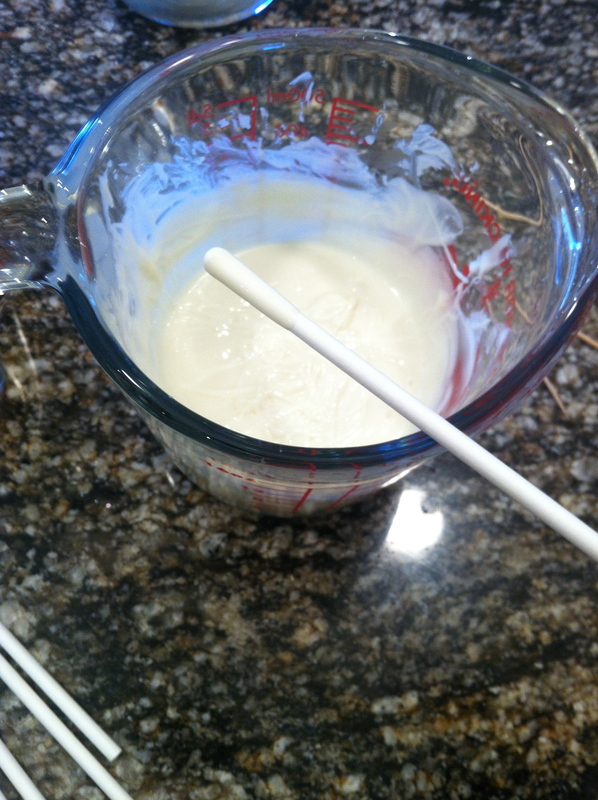 If it is still too dry you can always add more icing, start with less and add more in as you go. Once your mixture is the right consistency you can now grab about a tablespoon sized helping of the cake and icing mix and begin rolling it into a ball. It will take a little bit for it to stick well. Ensure that it is as round as you can get it and that there are no holes and the cake/icing is stuck together well. 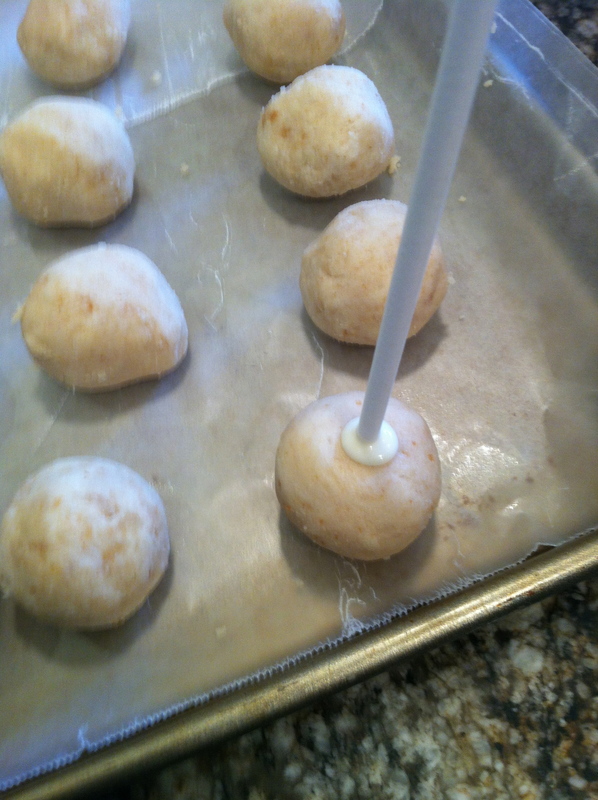 Avoid making the balls too large or you will find that they fall off the stick when you go to dip it in the chocolate. You can then lay all of the completed balls out onto wax paper and insert them in the fridge or freezer for 5-10 minutes while you melt your candy melts. 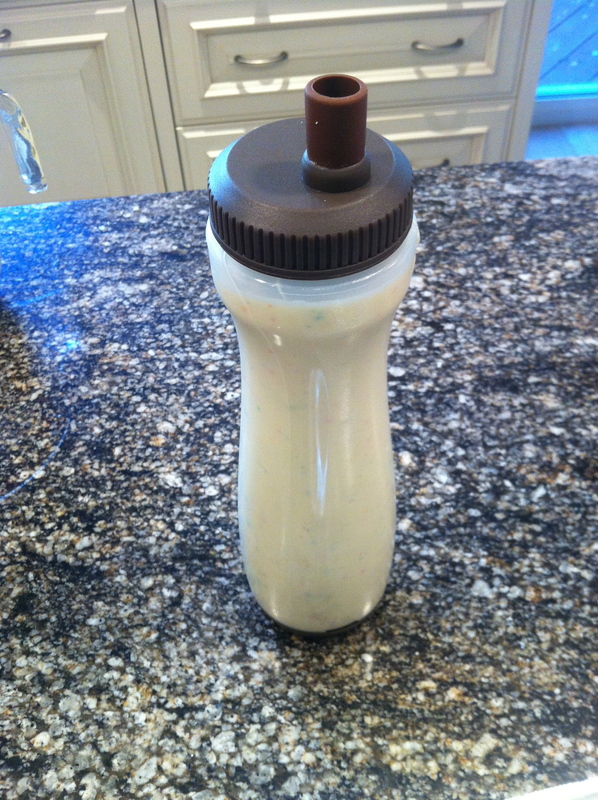 In a microwave-safe container or on a double-broiler melt your candy melts until they are a nice runny consistency. DO NOT overcook these chocolates or they will become too hard and not usable. Once your candy melts are ready you can take your first lollipop stick and dip one end of it into this mixture (about an inch deep.) Tap off any extra and then insert the coated end of the stick into the ball. It is easiest if you insert it with the ball staying flat on the wax paper. Remember not to push the lollipop stick in too far or it will break through the top of the cake-pop and fall off the stick! Complete this step for all remaining balls. To ensure that the stick is going to be securely on the ball you can place them back in the fridge or freezer for a couple of minutes! The candy melts do dry fairly quickly but just to be overly cautious I usually place my finished cake-pops on a stand to allow them to continue drying. This will ensure that they have a smooth polished finish! Pack them up, wrap them up or stick them in a container! I used a flower arrangement that already had oasis in it. 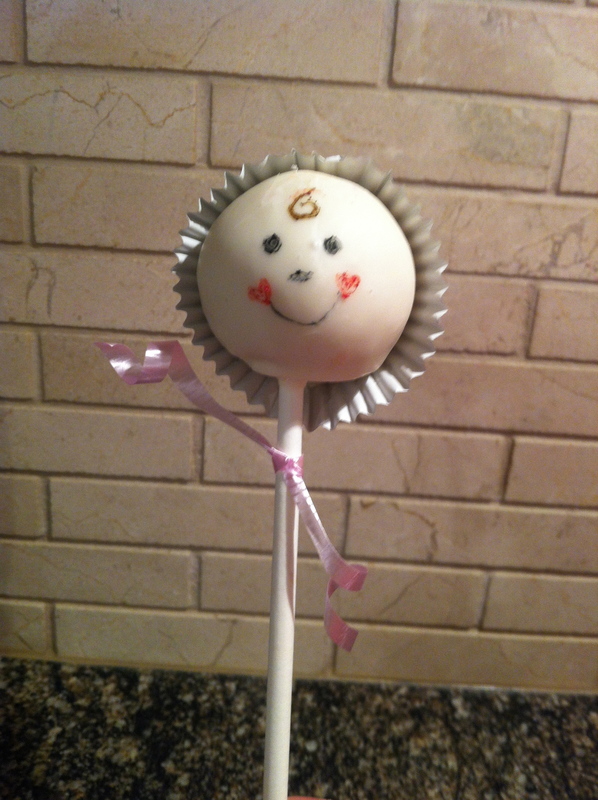 I like to use oasis as the cake pops stick into it perfectly and hold really well. It’s an unpleasant green colour so I just covered mine with pink tissue paper and then poked the lollipop sticks right through it. These make great gifts, why not show off all your hard work and deliver some to your friends and family? 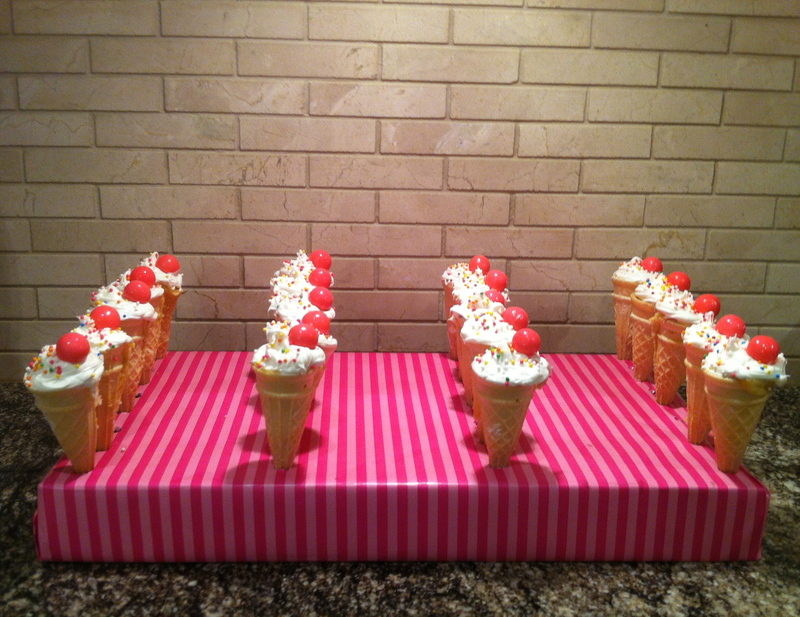 You can get really creative with how you decorate them and they are also raved about at any party I bring them to! 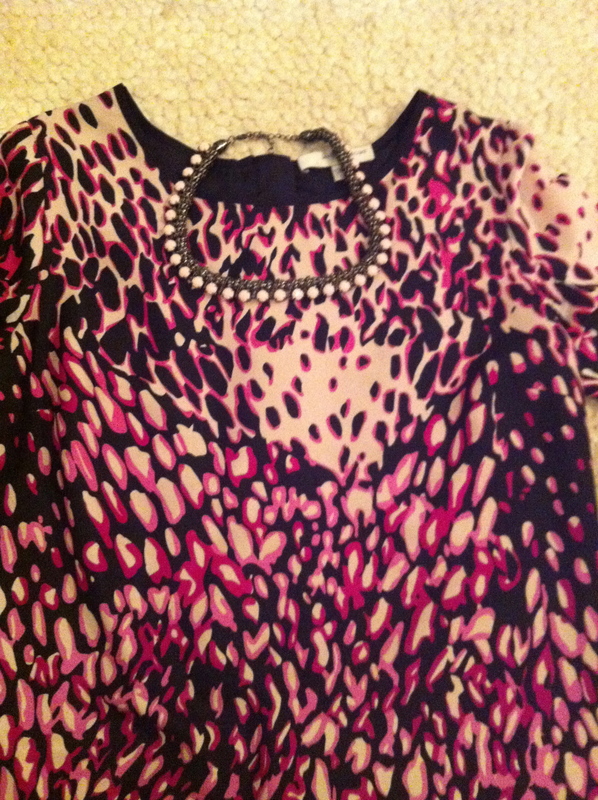 Last but not least…my outfit for the shower! 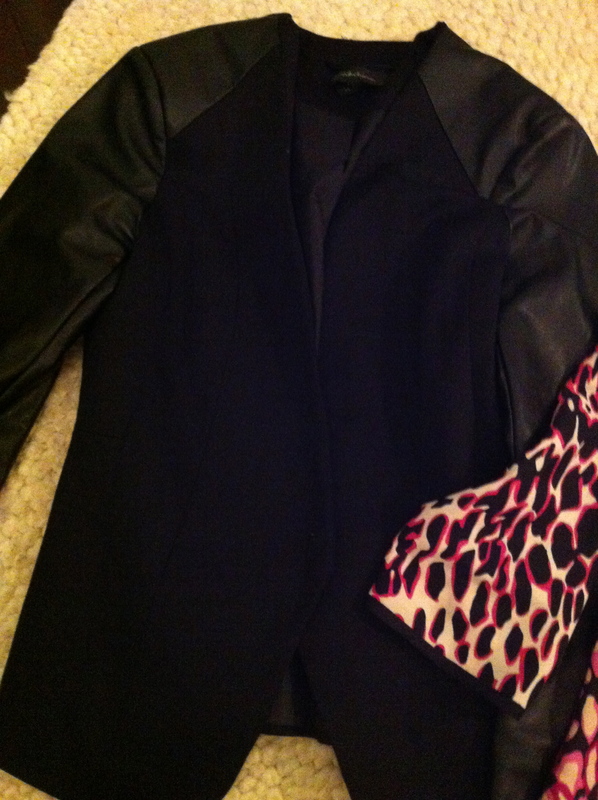 In keeping with the theme, I opted for cheetah print with a hint of pink! Black Michael Kors Fulton Flats (Macy’s)– I went for comfort since I knew I would be on my feet walking around all day! Black sheer stockings– not necessary but it was freezing so I went with them! 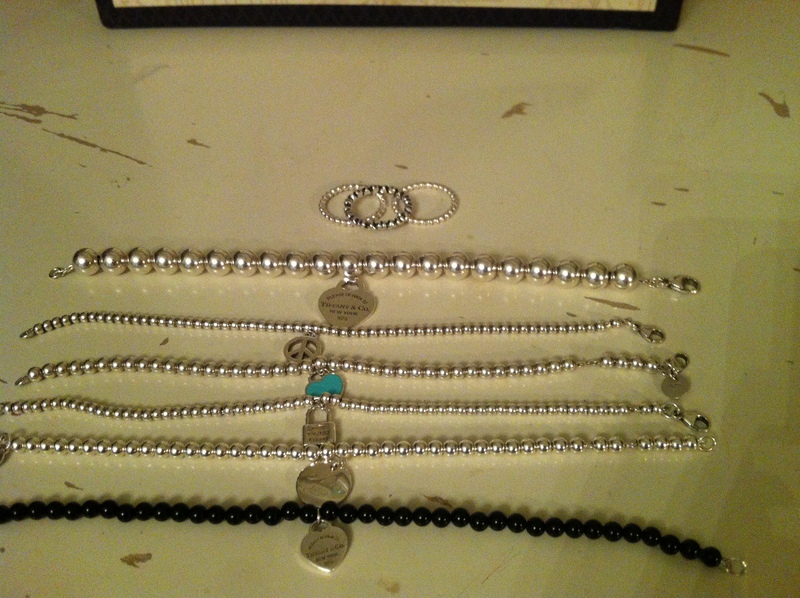 Assorted Tiffany & Co bracelets and Pandora Rings– These are my staple pieces of jewellery that I wear on a day-to-day basis and when I’m going out!